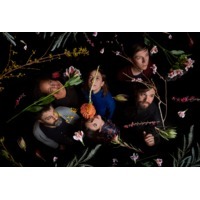 Dirty Projectors are a Brooklyn-based experimental rock band led by Dave Longstreth. They have released seven full-length albums through 2010. The band currently consists of Longstreth along with Amber Coffman (vocals, guitar), Angel Deradoorian (vocals, keyboard, samples, guitar, bass), Brian McOmber (drums), Nat Baldwin (bass), and Haley Dekle (vocals).